Two teenagers have pleaded guilty to robbery after a city centre incident in which a man was seriously injured. A 17-year-old boy, who cannot be named, also admitted possession of a blade but pleaded not guilty to wounding with intent at Birmingham Magistrates Court. Hi co-accused, also 17, who cannot be named, denied possession of a blade. 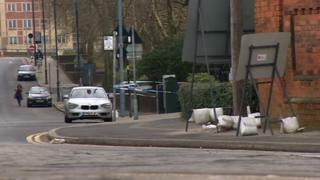 The victim, in his 20s, remains in a critical condition in hospital, West Midlands Police said. The boys will appear at crown court on 20 March. One of the boys was remanded in custody while the other was granted conditional bail.